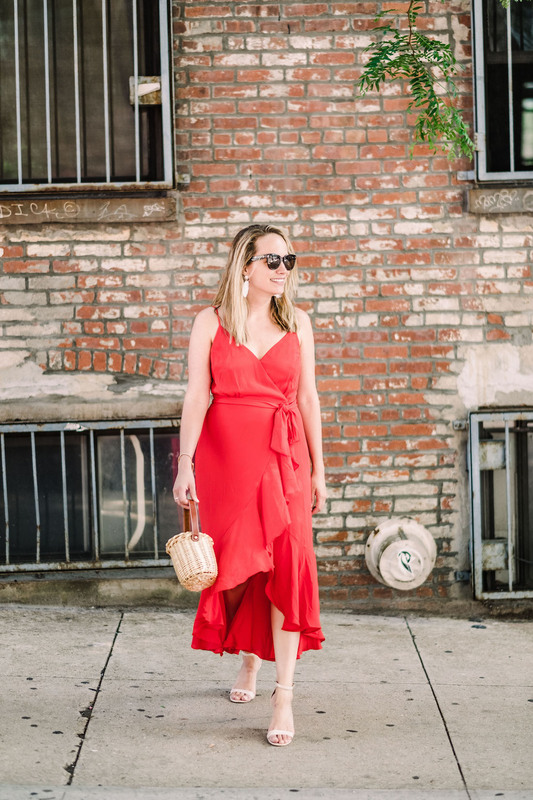 Home/New York/Emoji Dress + New Podcast Episode! Emoji Dress + New Podcast Episode! 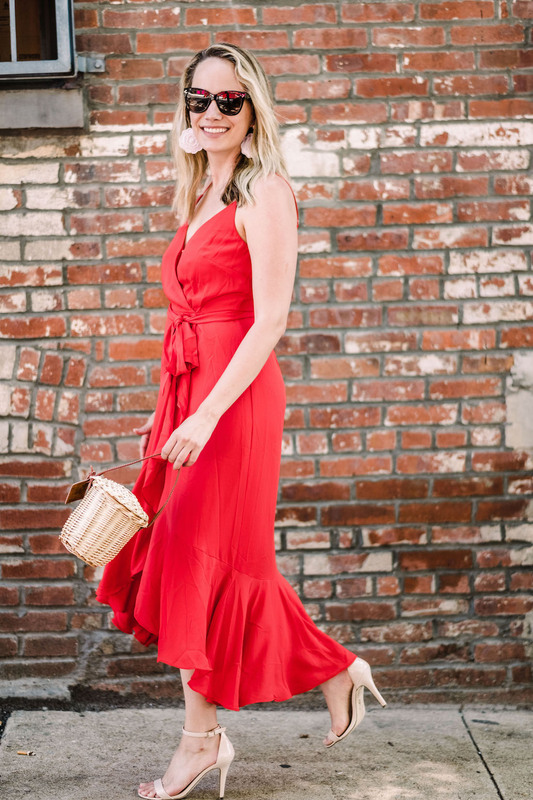 Okay, I fully realize that I have to many little red dresses but when I saw this one, I just fell a little bit in love and knew I needed it. The best. 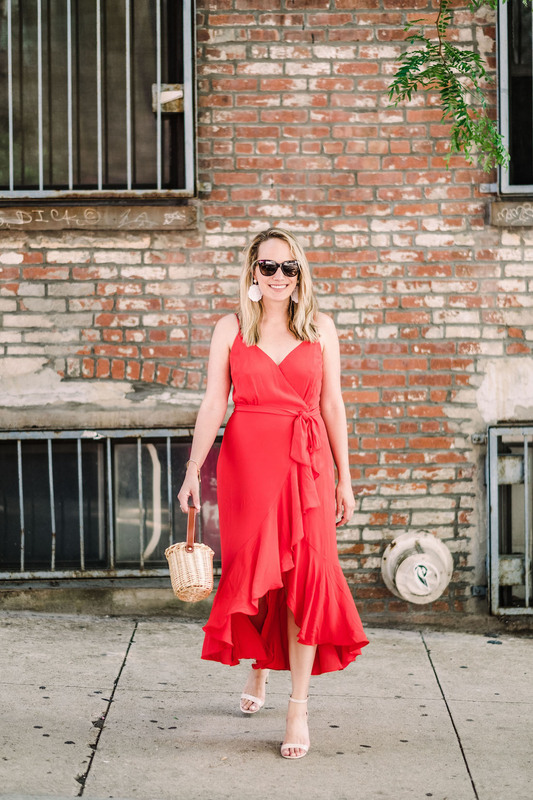 I just love a good little red dress and this one makes me feel like an actual emoji which is always, 100%, a great thing. 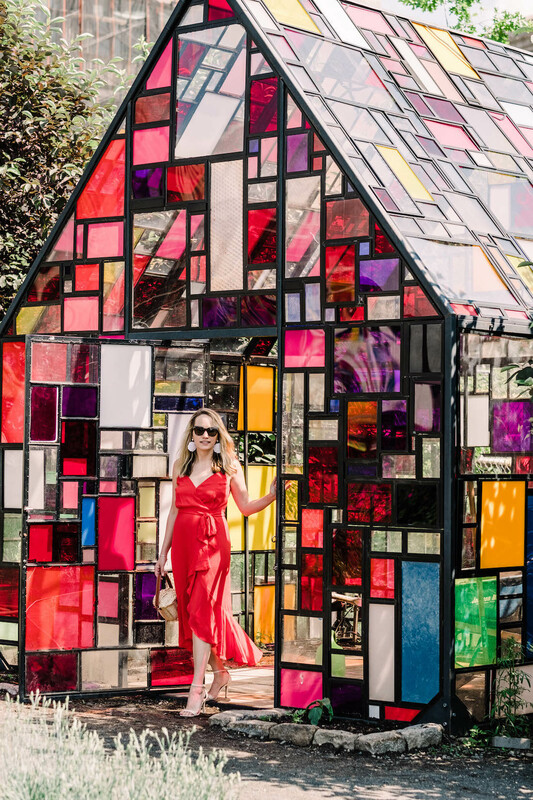 We shot these photos down at North Brooklyn Farms – I love this colorful stained glass house. The artist is Tom Fruin and he’s done all sorts of cool installations all over Brooklyn. You can see more of his stuff on his insta, it’s pretty cool. North Brooklyn Farms is one of my favorite places to sit and read when it’s nice out. It’s a really pretty community space. And it’s next to Domino Park which just opened up a couple weeks ago… my other favorite! When you live in a big city it’s so nice to have grassy places where you can go and be near the water. Oh GUYS – we have a new podcast episode up! Head on over to Bad on Paper – this week we are tackling your advice questions… we talk about networking the right way, overcoming procrastination, our shopping habits, and how we plan for larger purchases. It’s a little sad to listen as Becca and I were so excited to go on this trip together – I’m presently sitting in the Bangkok airport listening and just feeling so sad that she’s not here. 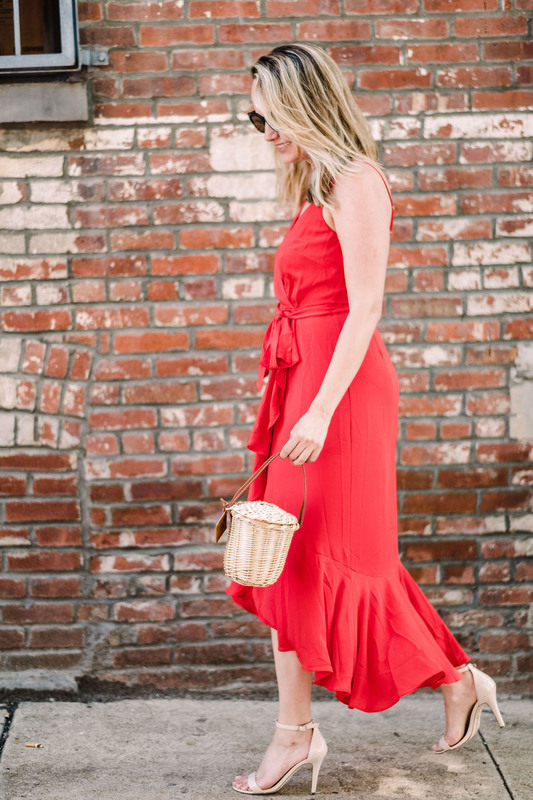 The post Emoji Dress + New Podcast Episode! appeared first on The Stripe. 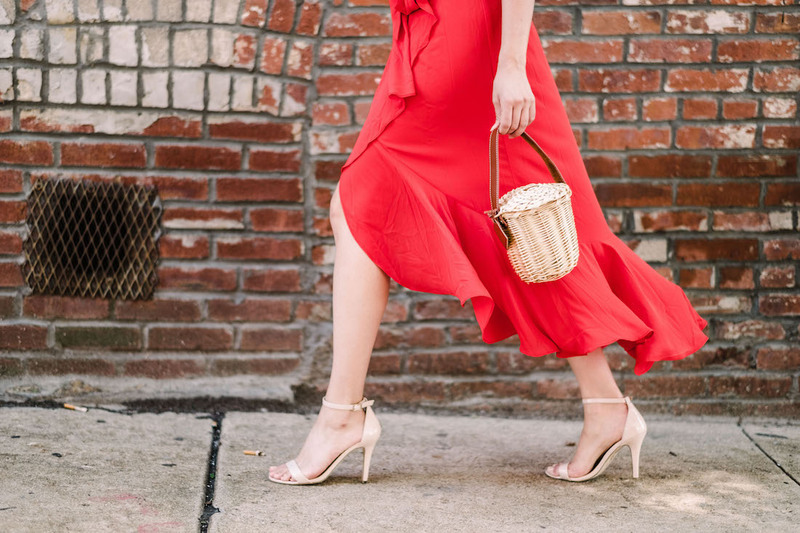 Things I Love But Shouldn’t, + A Few Classic Pieces for Fall.